Balotelli was left out of Saturday’s FA Cup fourth round goalless draw with Bolton, provoking speculation the 24-year-old’s career at Anfield was over. Rodgers said on Monday that it’s been a difficult period for the Liverpool striker but “he’s a good boy”. 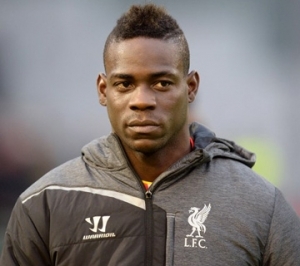 Balotelli is said to have started the season with just eight league matches, his last in a 2-1 home defeat by Chelsea on 8 November, and has been linked with a move to Lazio. The Italy forward is yet to score a Premier League goal since arriving from AC Milan last summer. Rodgers added: “I’ve seen some bits this morning suggesting that’s him done here. That’s not the case at all”. The team Manager also said: “I’ve shown in my time here that if players who have been out the fold for various reasons work hard every day in training, and show intensity and focus, then they have every chance of getting back in the side and staying there”.